Occasionally, I mention a few nifty gadgets/tools that make themselves available from time to time. From time to time, I pretend that I somehow discovered them and from time to time I give credit where it is due. Granted, I think originality in this connected world is not as an omnipotent a trait as it once was (you don’t have to be original to avoid being obvious), but I will definitely unleash praise on my fellow classmates and instructors at the wonderful University of Edinburgh MSc in eLearning team. They are really a spirited bunch of folks passionate about what they do and that rubs off on all us students. Anyways, we were reflecting on sanctuary and solitude online and applications that support that contemplative pursuit and came up with the following tools. Quite frankly, they are rad. Yes, as in Rad. 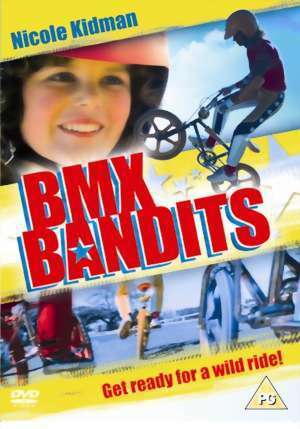 Even BMX Bandits rad. The first is from Brian Eno, fittingly enough, and it doubles as both a web-based application and an iPhone app. It is called Bloom and can be found here. Just start tapping away at the screen to make your own Music for Airports. I suppose that is fitting as I have it on my iPod now and will be heading to the airport in a few hours to head to Ann Arbor. I took a screenshot above, but that most certainly doesn’t do it justice as it a real audio/visual mix. You can here a sample below, if you are interested. I apologize for the quality of the recording, but that is literally me with my MacBook using Garage Band to record it on my sofa with the dryer tumbling away in the background. Talk about ambient. I will call myself DJ Sofa Snooze. You can all say you knew me when. The second application is Audiotool, which is quite a nifty web-based recording audio application. It is well worth a look if you like this sort of thing as it seems relatively versatile and quite fun, to be honest. I think it would be more fun if I had any discernible musical ability, aside from my legendarily charismatic performances at 노래방s throughout Korea. I have another recording of my own, once again from my sofa. If you would like a more lightweight version of the above, great for killing time in coffee shops, airports, and on lunch breaks, check out aM laboratory. Great fun. Before heading out into the world of music, please consider carefully what your DJ name will be. You can even learn How to Find a DJ Name. Instead of DJ Sofa Snooze I might go with my initials, MSG. Or maybe combined. DJ Sofa Snooze Featuring MSG. There it is.